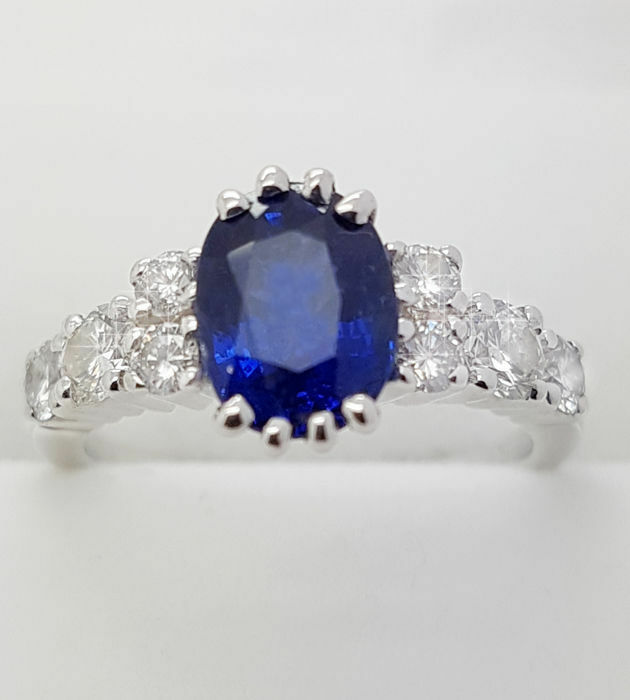 Luxurious 18kt white gold, ring with a Sapphire and exceptional white round brilliant Diamonds - sorted for VVS clarity (also certified). 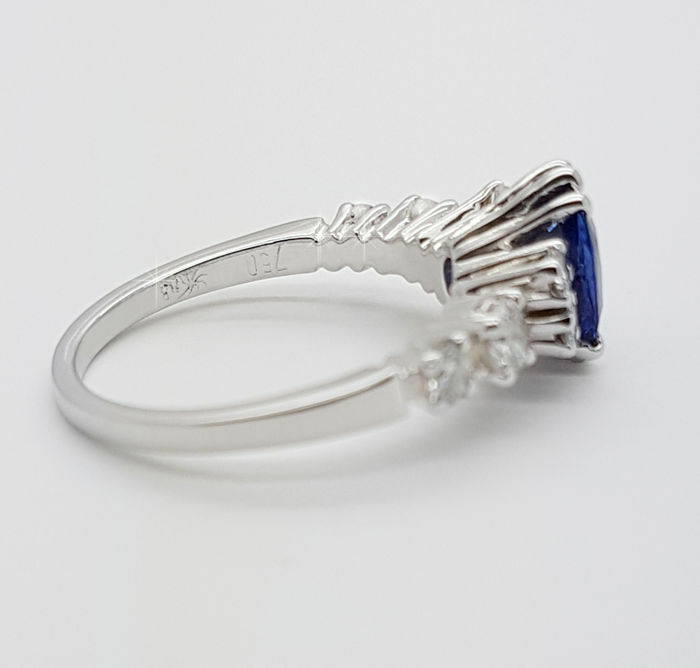 Ring is as good as new, no signs of use. 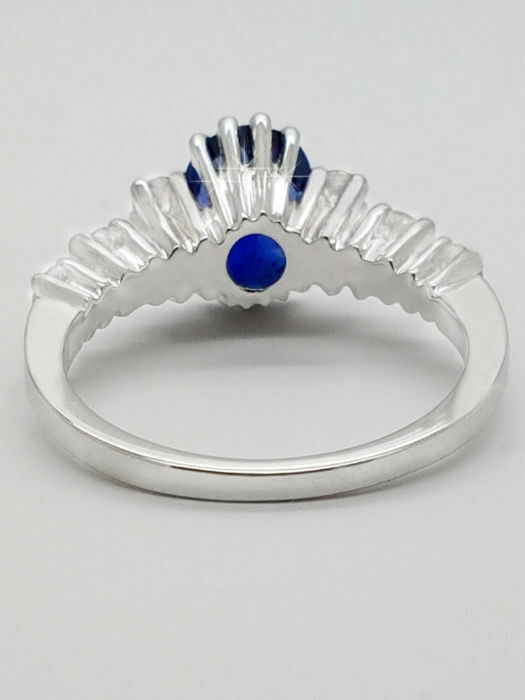 Very professionally high quality goldsmith manufacture. 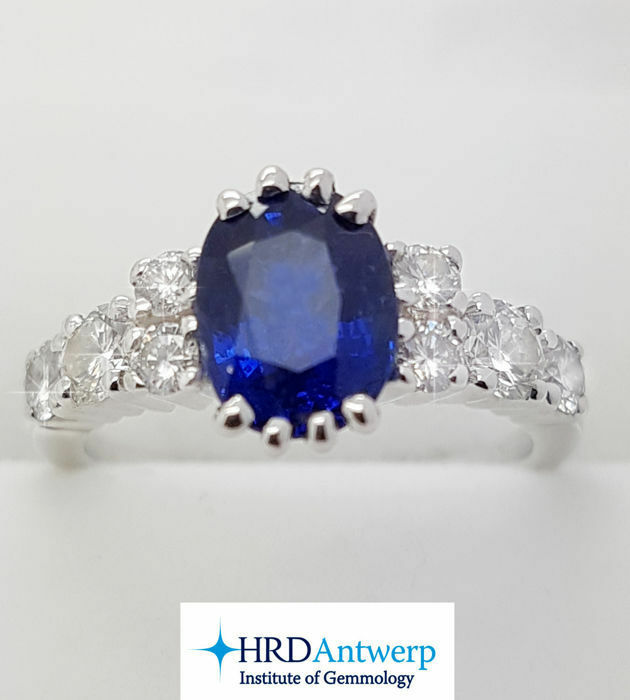 Ring comes with (i) HRD Antwerp Diamond high counsil and (ii) AGJDC gemological & appraisal certificates. Both certificates are with a photo and full description on them. 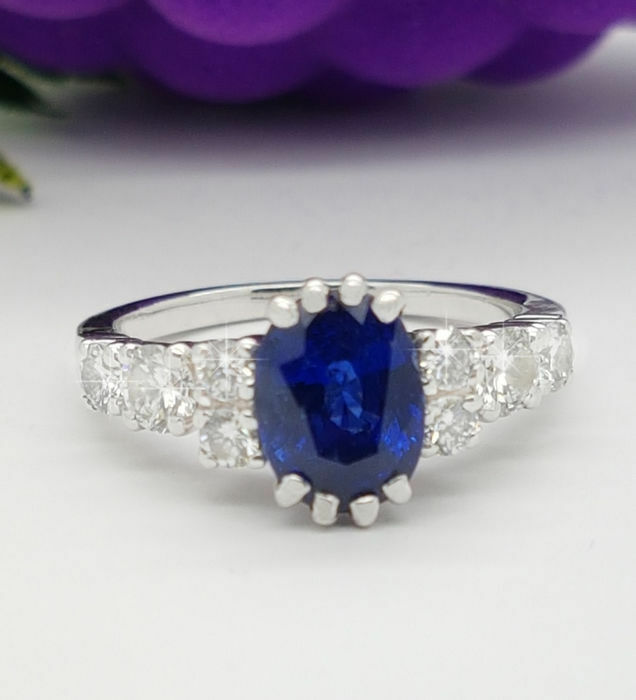 The centre stone is oval shape cut Sapphire of 1.60 ct in cornflour blue colour (treatment: heated). 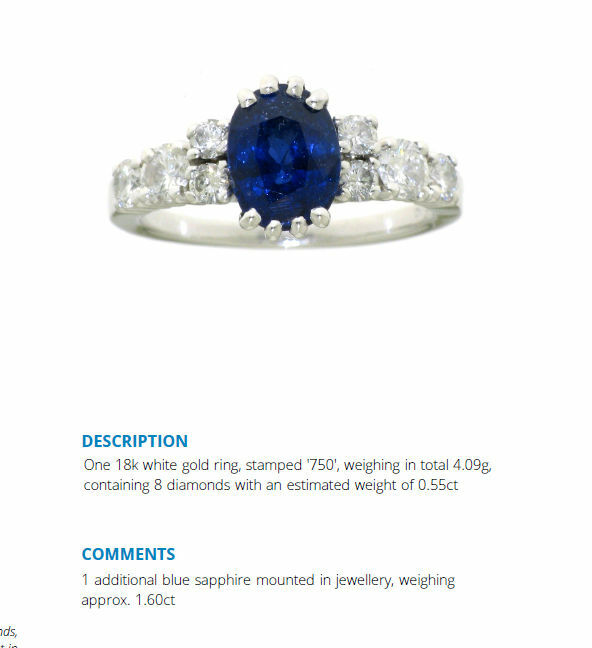 The ring has (2x 0.13, 2x 0.07 and 4x 0.04 ct) totalling 0.55ct diamonds of VVS clarity and graduated to G-H colour. All of Diamonds are set by a master setter. It comes in a luxury jewellery box. 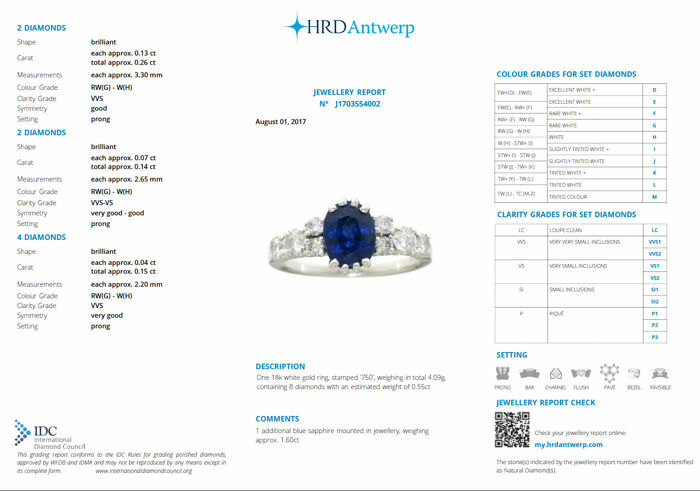 Pictures are enlarged (see the measurements) and taken under a lamp to show the brilliance of the diamonds. Registered & insured (x value) with track and trace. 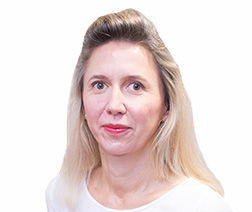 Buyers outside the European-Union (EU) are responsible for (if) any import tax/duty.